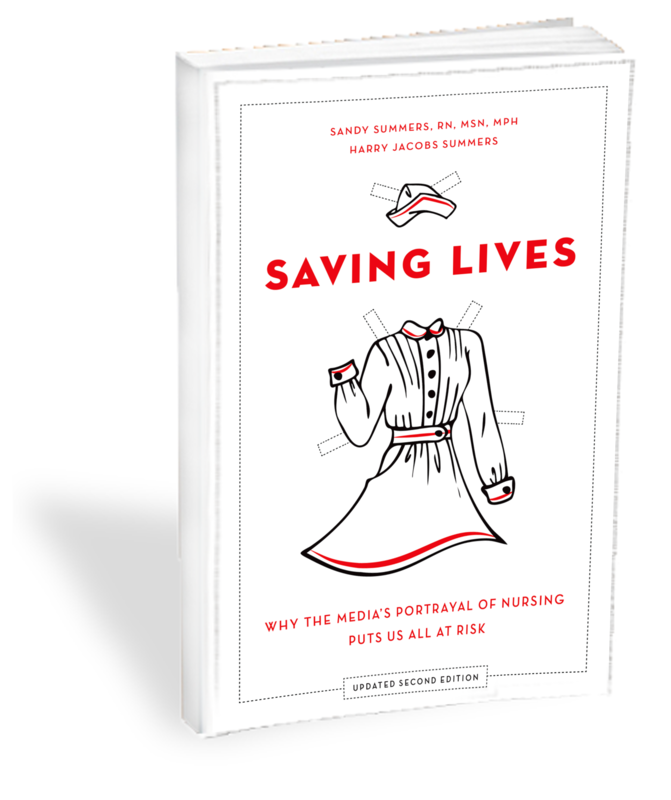 April 28, 2005 -- Recent articles in Canada and the U.K. highlight the key role that nurses can play in reducing the number and severity of life-threatening infections hospital patients suffer. A fairly good piece by Celia Hall posted on the Telegraph site on April 27 examines calls by British nurses for more uniforms and improved laundry and changing facilities, in order to stem the rate of hospital-acquired infections, including the MRSA "superbug." On April 26, the Vancouver Sun published a piece by Amy O'Brian about one local hospital's efforts to reduce sepsis deaths through a joint medical-nursing monitoring team. The piece prompted a brief but effective letter by Center supporter Heather Bolecz protesting its highly physician-centric focus. The Sun published that letter today. "Nurses call for clean uniforms to beat MRSA," the Telegraph piece, reports that the Royal College of Nursing argues that more uniforms for nurses, along with high-temperature laundering and adequate changing facilities, are critical ways to combat the spread of the deadly MRSA. The article features extensive quotes from RCN general secretary Dr. Beverly Malone, who says it is "unacceptable" that some National Health Service nurses have had to "change in and out of their uniforms in ward toilets," and a couple quotes from Nursing Standard editor Jean Gray. The RCN's call is part of its anti-MRSA campaign "Wipe It Out." It reportedly relies on a Nursing Standard survey that found most health trusts did not provide adequate numbers of uniforms, and 91% of nurses had to wash their uniforms at home, where temperatures might not be sufficient to kill the bugs. According to the piece, a spokesman for Health Secretary John Reid said that the government was "supportive of the idea of insuring proper changing areas and uniforms for nurses are available," and that Labour looked forward to working with nurses on the issue--"[i]f re-elected." "Hospital puts crack team on deadly bug," the Vancouver Sun piece, describes a new program at New Westminster's Royal Columbian Hospital to combat sepsis "by having a dedicated physician and nurse constantly monitoring patients in the emergency room and the intensive care unit." The piece reports that the innovative "early intervention" program, the first of its kind in British Columbia, focuses on treatment rather than prevention. As Ms. Bolecz's letter explains, the piece focuses entirely on the ED physician, William Henderson, who has reportedly "spearheaded" the new program. No nurse is named or identified, nor is the role of nurses in the monitoring program discussed. Of course, as Ms. Bolecz notes, "monitoring" is a critical nursing function, and nurses do the vast majority of it in hospitals. But no nurse is quoted, while Henderson is quoted (directly or indirectly) at least 10 times in the relatively short piece. We salute Ms. Bolecz for her nursing advocacy, and commend the Sun for publishing her letter.